Apple TV sometimes feels like the black sheep of Cupertino, but it got some love last week when Apple dropped the price to $69. That’s $30 cheaper than the original price, making Apple TV just a little more competitive with media streamers from Roku, Amazon, and Google. If you need a streaming set-top box and have Apple TV back on your radar, allow me to help break it down. You’re deeply invested in iTunes: If you already own a large library of iTunes music and videos, Apple TV is a no-brainer. Any movies, TV shows, or music you’ve purchased through iTunes are instantly available on Apple TV, and you can also stream anything in your iTunes library from networked computers over Wi-Fi. With other set-top boxes, such as Roku and Fire TV, your only options are to strip the digital rights management (DRM) from your videos, and migrate your songs to iTunes alternatives such as Google Play Music or Amazon Music. It’s not worth the hassle. You’re an all-Apple home: iTunes isn’t the only Apple service that hooks into Apple TV. You can also view any photos you’ve uploaded to iCloud, listen to your subscriptions from Apple’s Podcasts app, and watch your edited home movies through iMovie. You can also use AirPlay, which lets you beam music and videos from virtually any iOS app, and mirror the display from an iPhone, iPad, or Mac. Other media streamers have their own podcast apps, screen casting features, and media sharing capabilities, too. But if you use Apple’s services and are comfortable with them, why switch? Apple TV provides the easiest path. 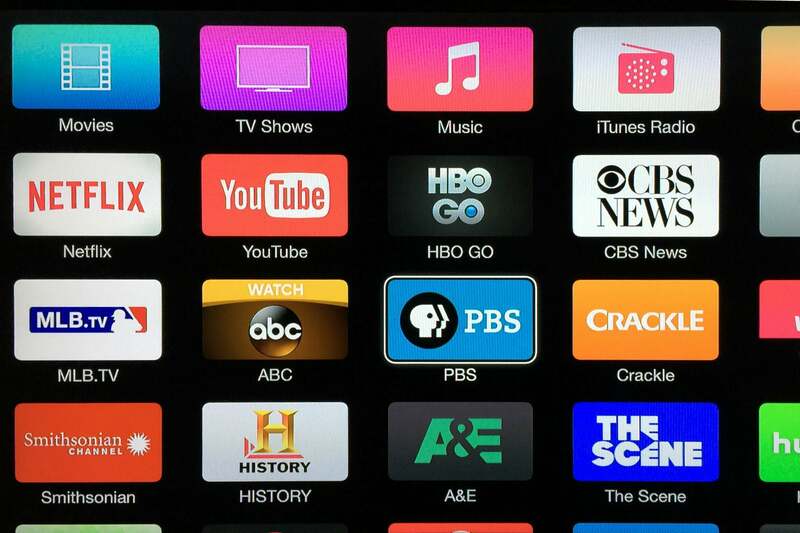 You don’t want to mess around: Unlike other media streamers, Apple TV doesn’t have a proper app store. Instead, every app for Apple TV is laid out in front of you from the moment you set up the device. Apps like Netflix, Hulu Plus, and YouTube are installed out of the box, along with individual apps from TV networks and websites. Apple TV’s interface just lays it all out, and that’s okay. You can’t wait to watch Game of Thrones: One of the big announcements at Apple’s press event last week was HBO Now, a standalone service that streams all of the channel’s past and current shows. Apple is the exclusive “non-paid television provider” for three months, which means you can’t get HBO Now any other way unless your Internet provider cuts its own deal. In other words, Apple TV will be your safest route if you want HBO in time for the start of Game of Thrones’ fifth season on April 12. You can’t live without Amazon or Google Play: Apple TV isn’t exactly a welcome environment for rival music and video services. If you want to watch Amazon Prime Instant Videos on Apple TV, or stream your songs from Google Play Music, the only way to do so is through AirPlay. That means you need an iPhone or iPad on-hand the entire time you’re watching videos or listening to music. 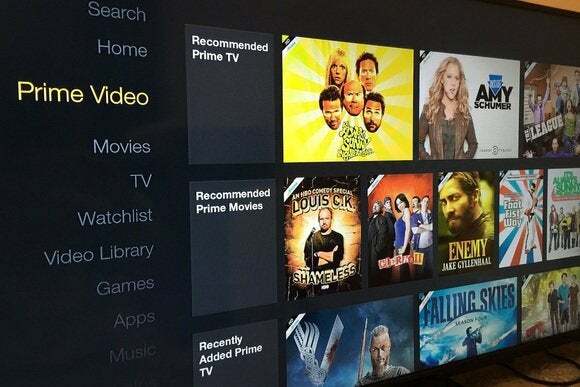 For Amazon users without a smart TV, a Fire TV or Fire TV Stick is the best way to consume Amazon content. If you’re plugged into Google’s ecosystem of music and videos, check out Chromecast or the Nexus Player. For the best of both worlds, Roku’s Streaming Stick and set-top boxes have apps for both Amazon Prime and Google Play. The $39 Fire TV Stick is all about Amazon Prime. You don’t like limitations: The downside to Apple TV’s curated app selection is that it limits what you can do. Want to record broadcast TV on your computer and stream the video through Plex? There’s no Apple TV app for that. Do you want a wide selection of streaming-music apps, such as Pandora and Spotify? Apple TV doesn’t give you any options beyond iTunes and Beats Music. Would you like to spend the day watching Kung Fu classics or old B-movies? Other media streamers might just have an app to scratch that itch. Roku will currently give you the best selection of apps, by far. But if you’re eyeing Fire TV, there are workarounds to make the app selection much larger as well. $69 is too rich for your blood: For those trying to pinch every penny, Apple TV is still one of the more expensive media streamers, even at its reduced price. For $50, you can get a Roku Streaming Stick, and $39 will get you Amazon’s Fire TV Stick. 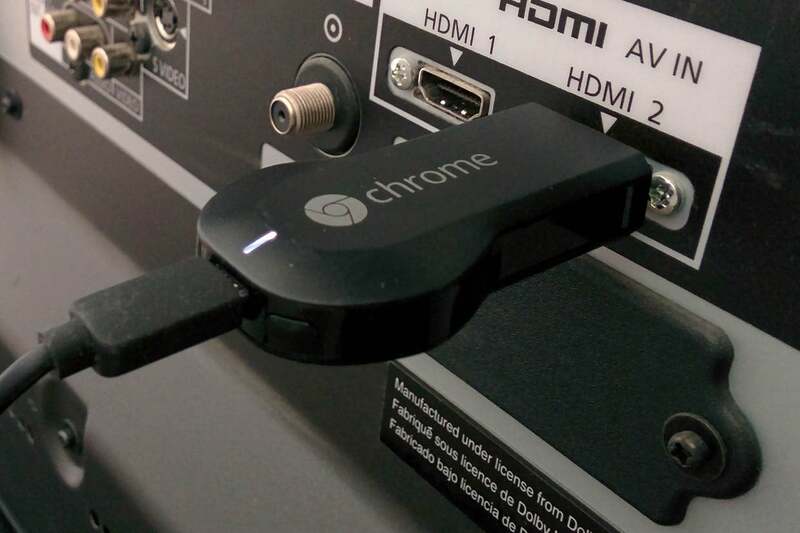 Google’s Chromecast dongle remains the cheapest option at $35. These aren’t huge price disparities, but they’re enough to enjoy a handful of movie nights at least. Google’s $35 Chromecast is the cheapest path to streaming video, though you must control it through your phone, tablet, or PC instead of a dedicated remote. You fear obsolescence: Apple TV doesn’t seem old on the outside. The software runs smoothly, and is based on iOS 8, just like the iPhone and iPad. The processor inside is more than adequate for watching 1080p video. Still, you must keep in mind that Apple TV’s hardware hasn’t been updated since early 2013, and the rumor mill has been predicting a new model (albeit incorrectly) since last year. There’s certainly room for Apple to revamp the hardware, with features like Siri voice commands and 4K video. And with rumors of a subscription Apple video service seeming more credible than ever, it’s not hard to imagine a new device going along with it. The current Apple TV will likely be supported for several years either way, but you may want to hold off if you can’t stand not having the latest and greatest.